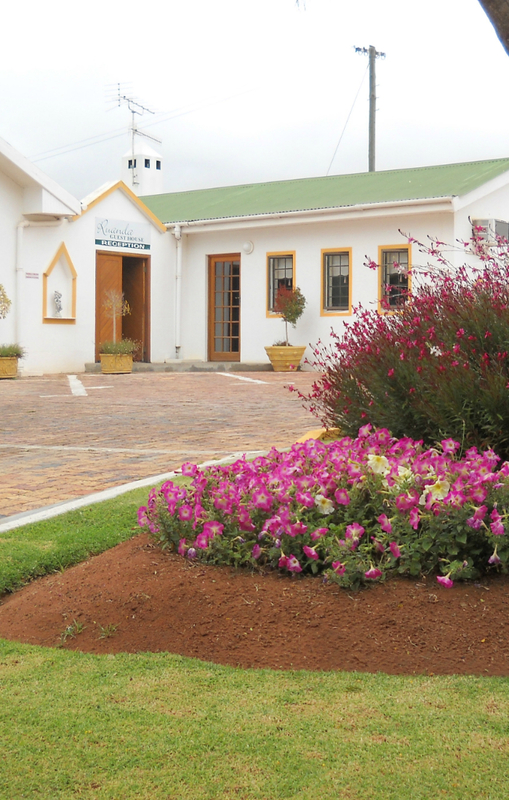 The charming and beautiful guest house is ideally situated a mere kilometer outside Vredendal on the scenic Route 363 towards Lutzville. It is set in an established peaceful garden, overlooking beautiful vineyards and offers stylish en-suite bedrooms with double or single beds, air conditioning and DStv. Other facilities include an outdoor swimming pool, lovely shady trees, fish pond, an outdoor braai and secure parking. The cosy lounge is equipped with an indoor braai/fire place, pool table and a bar counter.